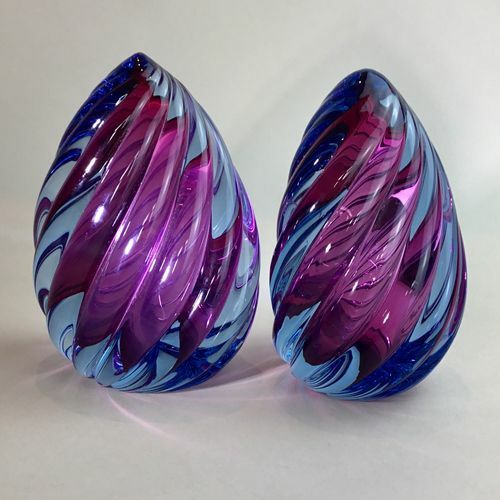 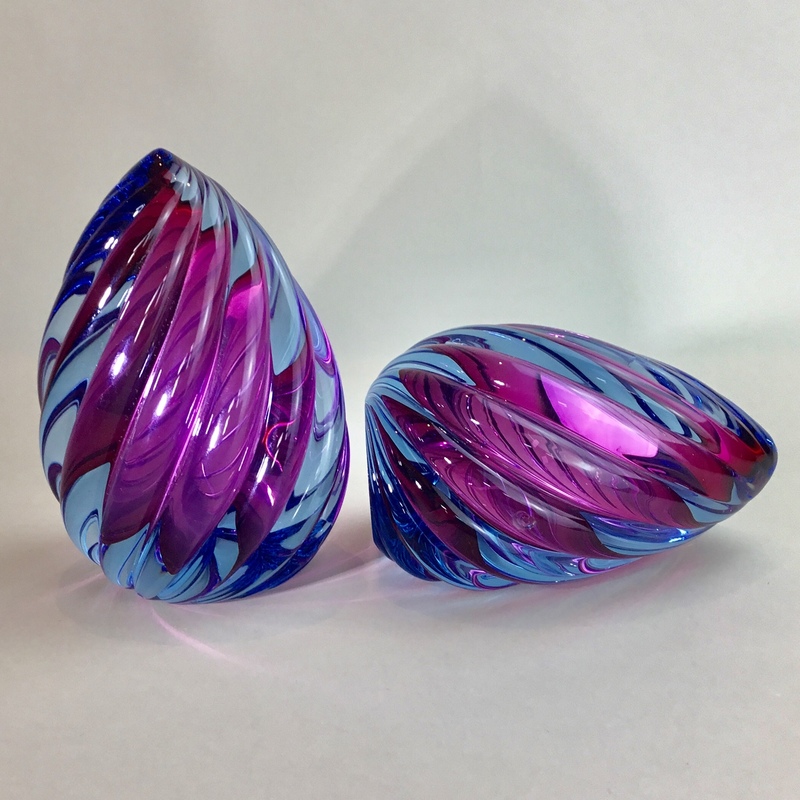 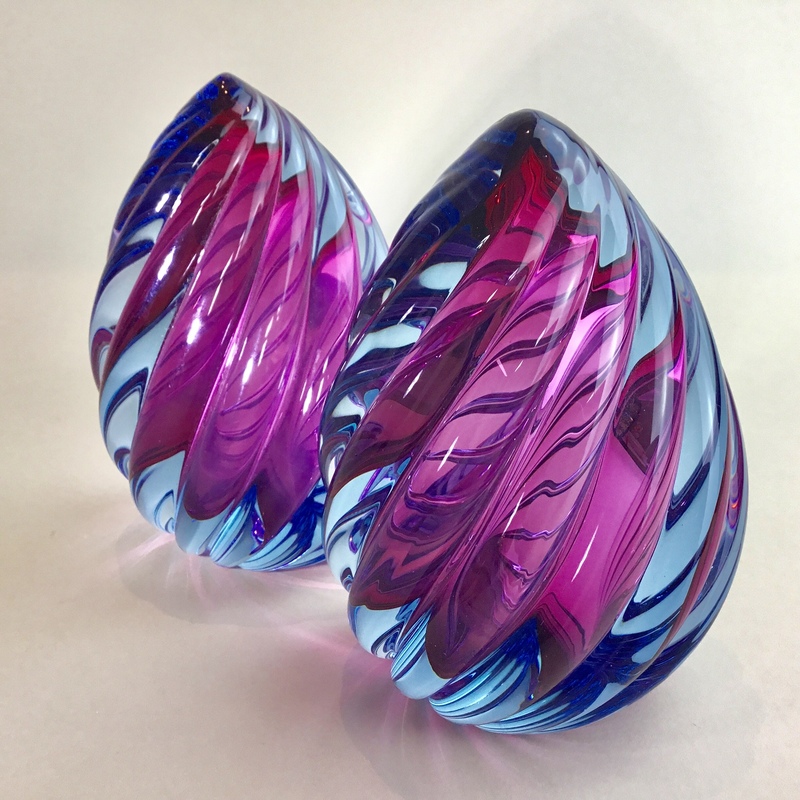 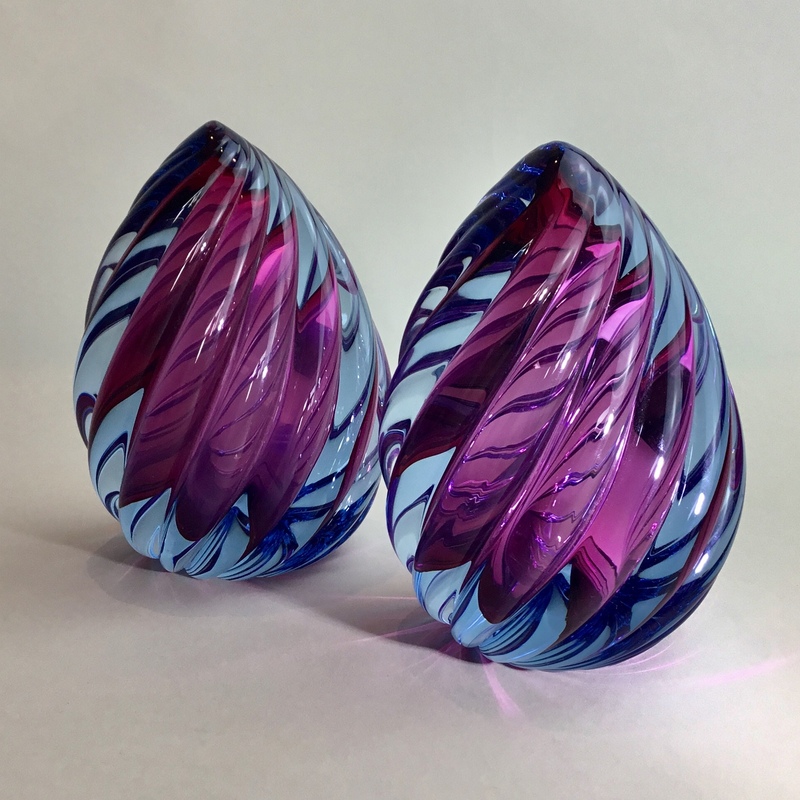 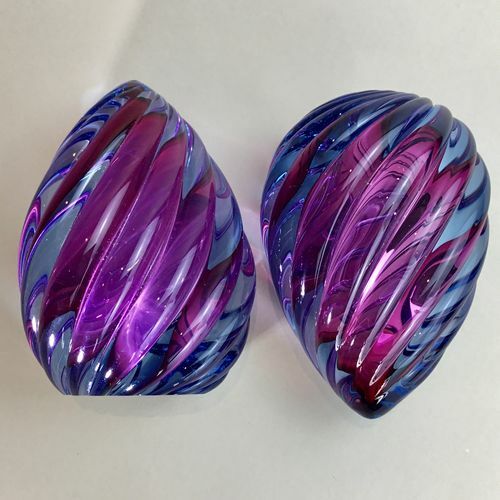 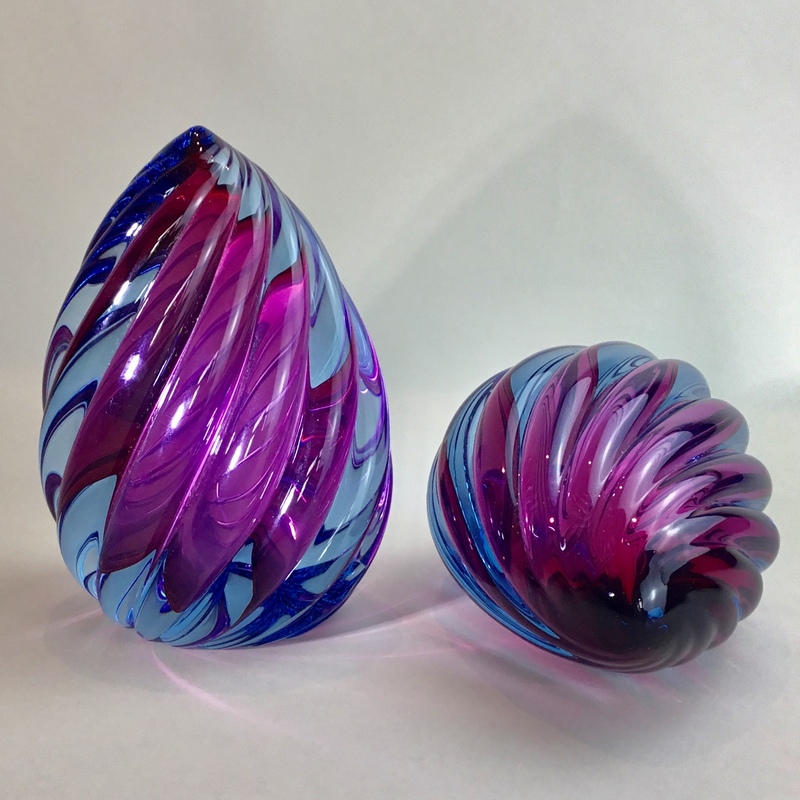 A stunning pair of sculptural 'Twisted Flame' Mid 20th Century Murano Sommerso teardrop glass bookends or paperweights. Chunky blue and purple glass with wrythen twisting, they make excellent bookends or paperweights. By Alfredo Barbini Circa 1950s.